Shonda drummed this line in my head with the episode where Derek Shepherd was killed off Grey's Anatomy. It's a year of his passing today as a character on the show. Yeah, I know like every other fan, I was angry. She shouldn't have killed off Derek. Meredith and Derek were supposed to end the series happily ever after. Derek was never supposed to die. Shonda broke my heart by killing the best love story on TV. Immediately after that episode, a lot of fans came up with different version of how Derek should have been written off the show. But she couldn't have separated them, that would have sucked. And saying that Derek moved to another city and never got time to come check on his family would not fly with the sort of love shared by Meredith and Derek. Death was the only option. That was the perfect example of "till death do us part"
Watching Derek die reminded me of the late 'Kunle Olaifa. Just as the viewers question Shonda, I questioned God for taking away such perfect individual. Grey's Anatomy is not going anywhere soon aw there is another season coming up and I am stuck. I love the show because if it just too real. Meridith and Christina's friendship reminds me of the friendship that exists between Sandra and I. She is the Grey to my Yang. And I was so glad, no favorite character was written off the show last season. 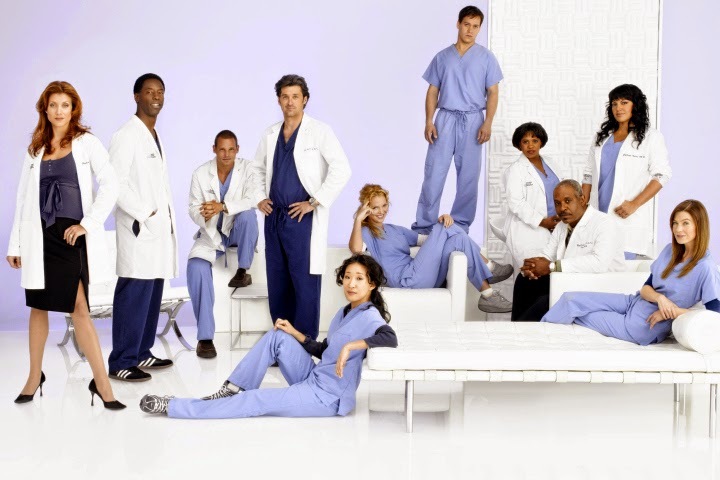 I am a Grey's Anatomy addict and I am proud to be one. Life is not perfect, and now happy ever after has a new meaning for me. You are so right in life never being perfect; everyday unfolds a new kind of struggle that we must work hard at. I only get to watch TV when I am free or have time on my hands...but Grey's Anatomy is my all time favorite.